The biennial CRA Conference at Snowbird is the flagship invitation-only conference for the leadership of the North American computing research community. This year at Snowbird: There will be four featured plenary talks on topics ranging from issues in government surveillance using the Internet to creating a diverse Computer Science research community. In addition to the plenary sessions, there will be a workshop for new department chairs on July 20 co-chaired by Susan Davidson (University of Pennsylvania) and Eric Grimson (MIT), a panel on research futures led by Greg Hager (The Johns Hopkins University), and three workshops on policy, research, and education. There will be several hours of free time for networking, mingling, hiking, or just hanging out enjoying the gorgeous environment. Below is a preliminary program that will continue to be updated on the CRA website as additional information becomes available. Online registration will open on the CRA website in April 2014. Click on the Speakers name to download their slides (in blue if available). This workshop will give new CS Department Chairs some of the skills to lead their organizations and work with Deans, Provosts, and Advisory Boards - the stuff they never told you in graduate school. Whether you've been department chair for one week or one year, there is more to the job than you think. Come join your fellow new chairs in this workshop! Click for Bios of Chairs and Speakers. Click for bios of Chair and Speakers. The story of computing is the story of humanity. It is a story of ambition, invention, creativity, vision, avarice, and serendipity, powered by a refusal to accept the limits of our bodies and our minds. As an insider to this world, I see that there is a hidden life to computing, as wonderful and beautiful and elegant as the motion of the galaxies and the pulsing of life in a cell. The software we compose forms the invisible writing that whispers the stories of possibility to our hardware. At the same time, computing has woven itself into the interstitial spaces of society and we are each slowly surrendering our lives to it. Humans have created computing, but computing is re-creating us. This yields a curious dichotomy that impacts every aspect of the human experience, and indeed leads us to consider the very question of what it means to be human. In this keynote, I will examine this story of computing as it has unfolded across time, ending with an exploration of where it might lead us and how we might ourselves be more intentional in directing it. We are among those who are making computing manifest, and so I will also focus on the question of our responsibility: there are some things we would like to do that we do not yet know how to do (this is the domain of computing research); there are some things we can do that perhaps we should not (this is the domain of the human experience). As computing continues to become more central to government, business, and the lives of individuals, the expertise of computer scientists becomes more essential to resolving policy issues. Peter Swire, trained as a lawyer and economist, has twice served as a White House official on technology issues and was a member of President Obama’s Review Group on Intelligence and Communications Technology. This keynote will offer Swire's reasons why computer scientists should produce more explicitly policy-oriented research and become more involved personally in the policy process. It will also offer a guide to the perplexed — ways that technologists can successfully navigate the unfamiliar culture and processes of political and policy debates. In 1981, Richard Feynman proposed a device called a “quantum computer” to take advantage of the laws of quantum physics to achieve computational speed-ups over classical methods. Quantum computing promises to revolutionize how we compute. Over the course of three decades, quantum algorithms have been developed that offer fast solutions to problems in a variety of fields including number theory, optimization, chemistry, physics, and materials science. Quantum devices have also significantly advanced such that components of a scalable quantum computer have been demonstrated in a variety of quantum systems. In this talk, I will attempt to reveal some of the mysteries of this disruptive computational paradigm. I will showcase recent advances in quantum algorithms for real-world applications and in scalable, fault-tolerant devices. - proposed elements for a new CRA Best Practices memo to address these concerns. Following this presentation, a panel of members from the committee will discuss rationale for the committee's proposals, hear reactions provided by members of the community present, and respond to comments and questions. Speakers: Panelists will include members of the CRA Committee on Scholarly Best Practices in Computing. The Visions 2025 initiative was created to inspire the computing community to envision future trends and opportunities in computing research. Where is the computing field going over the next 10-15 years? What are potential opportunities, disruptive trends, and blind spots? Are there new questions and directions that deserve greater attention by the research community and new investments in computing research? To answer these questions, a steering group of computing leaders drawn from the National Science Foundation (NSF) Computer and Information Science and Engineering Directorate Advisory Committee (CISE AC) and the Computing Community Consortium (CCC) planned a set of workshops to catalyze cross-computing and cross-disciplinary discussions. The first two workshops occurred in the spring of 2014 and the third will take place in the fall. This session at Snowbird will discuss the outcomes of the first two workshops, what was learned, what more needs to be done, and engage the community on potential future sessions along the 2025 theme. The demand for great CS courses—rigorous and engaging courses—in our high schools is skyrocketing. It has been fueled by NSF’s CS 10K Project, Code.org’s very successful awareness campaign (especially its Hour of Code), and by the efforts of many other partners, including the College Board, ACM, the Computer Science Teacher’s Association, NCWIT, Project Lead the Way, Teach for America, and CSNYC. It is important now to capitalize on this momentum and to set the stage for sustainability. Getting great CS courses into all high schools is critical. It’s needed to maintain a robust, innovative research community, to field a globally competitive 21st Century workforce, and to break the stereotypes and misconceptions that have thus far limited the engagement of women, underrepresented minorities and persons with disabilities in IT. This panel discusses the role that U.S. research departments must play in sustaining CS in K-12. The panelists will address issues of educational reform, while highlighting the role that academia has played in other disciplines; illustrate the breadth of existing efforts from the perspective of a university-led project; and consider how departments could contribute to building the needed research base for CS education. Computing research continues to be at the forefront of innovation, impacting society in ways never before imagined. In this session, speakers will further explore, looking at these new impacts and what the future might hold. Data is all the rage across industry and across campuses. While it may be temping to dismiss the buzz as just another spin of the hype cycle, there are substantial shifts and realignments underway that are fundamentally changing how Computer Science is taught, researched, and perceived as a discipline. In this talk I will attempt to survey this new landscape based on my experiences organizing a large, industry-engaged academic Computer Science research project (the AMPLab) and in helping to establish a new campus-wide and multi-campus Data Science initiative. How can computing help to close the vast “care gap” created by the growing elderly population, the obesity epidemic, the rapid increase in social disorders in children, and millions of people with special needs requiring one-on-one customized, affordable, long-term care? Socially assistive technologies, including socially assistive robotics, constitute a new challenging interdisciplinary research area that focuses on creating “machines that care” through social rather than physical assistance, by providing coaching and motivation, supporting autonomy and learning, and encouraging recovery, wellness, independence, and aging in place. In terms of enrollment growth, our field has faced booming enrollments twice in the past: in the mid-1980s, and in the late 1990s. Universities were unable to respond with "business as usual." The current boom shows signs of dramatically exceeding these previous ones. What strategies can you envision to respond to the demand for introductory computer science, for the major, and for upper division and graduate courses by non-majors? "What is different this time around?" Do we think this is just a third boom/bust cycle, or do we believe that this time is different, and if, what strategies are needed and what can we do to convince others (in particular university administration) that the situation is really different this time around. We need to share ideas. Computing is one of the least diverse disciplines in science and engineering in terms of participation by women, African-Americans and Hispanics, and the only discipline where participation by women has significantly decreased over the last three decades. While our discipline does well in encouraging members of underrepresented groups to go on to graduate programs, we have been less successful in attracting members of these groups into undergraduate programs. This talk discusses successful strategies for significantly increasing the number of women and students of color majoring in computer science. The number of postdoc appointments in computer science has risen dramatically in the last ten years. There are concerns that postdocs be properly supported and mentored as they start their research careers. This panel will present results from the CCC CIFellows postdoc program and outline efforts underway to refine and measure best practices for hosting postdocs and for supporting their career development. There is an explosion of interest in data these days, and much has been written about how it is changing the way science and business are done. The goal of this session is to paint the landscape of this much-hyped revolution, looking from the IT industry, the academic, and the non-IT industry perspectives. In this session we will hear from members of each of these three communities who are trying to leverage a broad variety and increasing volumes of data as to the impact data is having in their worlds, the challenges they face in leveraging the data, and where research could help. The maturation of cloud computing infrastructure led to an explosion of interest in online learning in 2013. Now that the hype has cooled, we are left with big questions: What is the future of online learning? Can online classes offer the quality of education that students get face to face? What can we learn from the hundred-plus year history of distance learning? Will these approaches transform on-campus practice? Is this a fad or the beginning of substantial change at the university? In this panel, we'll review what we can learn from the past and the surprising present, and address these over-arching questions. 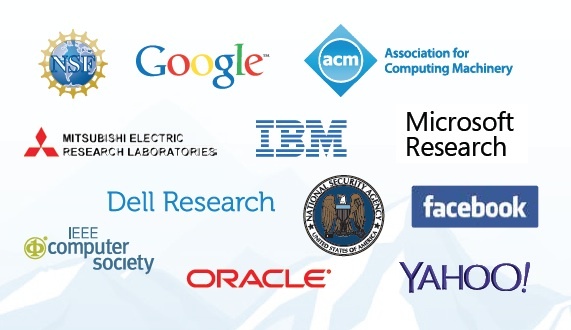 The Computing Research community is at a crossroads in scholarly publication. Numerous cultural, technological, and political forces are fomenting change in scholarly publishing. Many are questioning the current conference publication model as a source of archival content and whether the conference-centric model continues to serve the best interests of the research community. Technological advances, such as ubiquitous, fast networks and high-resolution devices are making it feasible to move beyond simply authoring, publishing, and distributing a static PDF. Scholars are experimenting with the inclusion of additional artifacts (e.g., datasets, executable code, videos, etc.) as well as technologies for incorporating these artifacts to create more dynamic articles. In addition to these changes, the traditional free-to-publish, pay-to-subscribe business model is being challenged as government and institutional mandates are being created to ensure the public has easy access to the results of government-funded scientific research. This panel will present a cross-section of scholars and publishers to discuss the impact on scholarly publishing of the evolving CS publication culture, new forms of scientific articles, and government mandates. Increasing the number of US students in graduate programs is a goal as well as a challenge for many US Ph.D. granting institutions. This session provides an overview of CRA-E’s on-going study of the baccalaureate origins of domestic students who have applied to, enrolled, and graduated with a Ph.D. in computer science. In addition to analyzing Ph.D. graduation data, we have analyzed over 7,000 graduate application records from fourteen participating departments. Based on these data, we can observe a number of interesting patterns and trends that are likely to be useful to departments seeking to enhance recruitment of domestic students. We will present our findings and make recommendations targeted at students, faculty, and admission committees. The panelists will discuss recruiting strategies and challenges in their departments. Used appropriately, data can transform science and industry alike. However, there are a host of "ecosystem" issues that can confound our ability to make progress on research and to impact society. These issues include acquiring data, dealing with privacy and intellectual property, collaboration across institutions and domains, costs, skills availability, and verification of results. In this session, we'll have a discussion among a set of panelists around how these critical issues have affected their attempts to leverage data. Panelists will discuss their experiences and suggest topics for further research as well as mechanisms to help that research move forward. How do you teach a large, online class effectively? The future of online learning involves much more than video textbooks and multiple-choice questions. How to realize the medium's potential is an open question bringing together HCI, artificial intelligence, and education research. On this panel, we'll hear results from cutting-edge work on MOOCs as CS research, and review what the key research challenges are going forwards. That politics and partisanship plays a role in shaping Federal policy — that policy decisions aren’t always made on the basis of a rational scientific argument - is not news, even where science policy is concerned. But the extent to which those forces have driven recent science policy debate in Congress is somewhat startling, even to experienced hands like CRA’s own Peter Harsha. How will support for Federal investments in fundamental research fare in this more polarized political climate? How does CRA make a Federal case for computing research when much of Congress seems averse to spending? In this session, Harsha will attempt to make some sense of this new landscape for science policy and discuss what CRA and CRA’s partners in the science advocacy community are doing to navigate in it. - What's the best way to request resources, such as faculty positions for your department, from the dean? - What makes a good department chair from a dean's perspective? - What departmental leadership approaches do deans view as most effective? - When should you try to solve a problem yourself, and when should you bring the dean in? - How can you help the dean in his or her role? And why would you want to do so? - How can you best work with a dean who is not a computer or information scientist? Department chairs will have plenty of opportunity to raise questions. Members: Sarita Adve (University of Illinois at Urbana-Champaign), David Bader (Georgia Institute of Technology), Chitta Baral (Arizona State University), Susan Davidson (University of Pennsylvania), Janet Davis (Grinnell College), Julia Hirschberg (Columbia University), Eric Horvitz (Microsoft Research), HV Jagadish (University of Michigan), Chris Johnson (University of Utah), and Bill Weihl (Facebook).